Do you remember the freedom you felt, the confidence you gained, the pride you had when you received your first bike? The Great Bike Giveaway will help give children with special needs the same feeling you had when that shiny new bike arrived at your home. For the third consecutive year Friendship Circle is holding the Great Bike Giveaway, a national contest giving away adaptive bikes to children with special needs. They are partnering with Freedom Concepts, Rifton, Buddy Bike, Ambucs, Triaid,Flaghouse, Mobo Cruisers and Strider Bikes to give away adaptive bikes to children and young adults with special needs. Why The Great Bike Giveaway? Many children with special needs miss out on the childhood joy of bike riding because their physical or cognitive limitations make riding a bicycle near impossible. 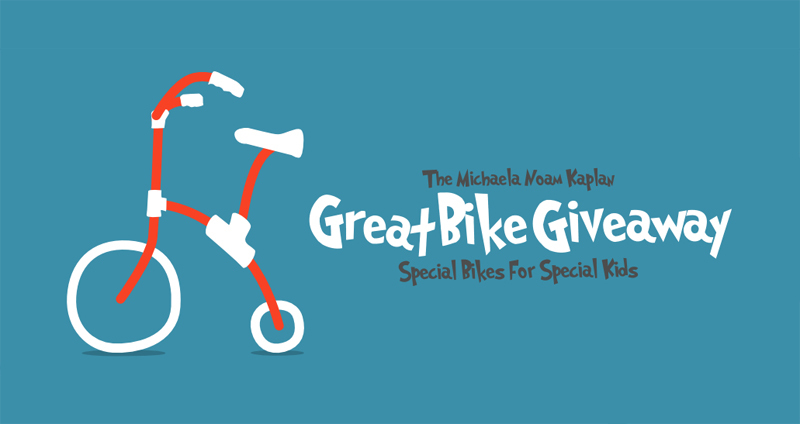 The Great Bike Giveaway will give children and young adults with special needs the chance to win an adaptive bike and have the feeling of pride, freedom and confidence that bike riding brings. Adaptive bikes are tailored to a child’s needs. To meet the needs of the recipients in this contest, a separate contest is held for each bike type. The contest starts with two bikes of each type and money is raised to add more bikes as the contest progresses. Last year the Great Bike Giveaway ran 6 different contests and gave away a total of 29 bikes! This year we hope to give away 75 bikes to individuals with special needs. Each bike page has a space where users can enter the contest. 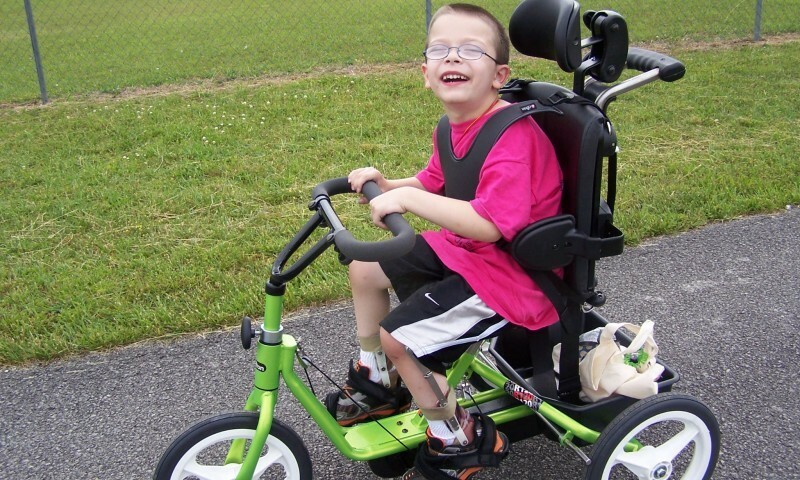 Submit a picture of your child with special needs along with a short explanation of why your child needs an adaptive bike. From the winner of a Parent: Judd, received his Rifton tricycle that he won through your bike giveaway. He loves it so much. His first time out with it , he pedaled .75 miles! Everyone at the track had a smile on their faces watching him enjoy his bike. The biggest smile there belonged to him though. All the remaining bikes will be placed in a drawing. To be eligible for the drawing each submission must be nominated by at least 50 friends and family members. Whether you have a child with special needs or not you can help more children with special needs win an adaptive bike. In addition to the bikes that have been sponsored, Individuals have the ability to donate to the Great Bike Giveaway to get more bikes added. Every time the donation meter is filled another bike gets added to the drawing! Let as many people as possible know about the opportunity to win an adaptive bike by sharing the the contest via your social networks and email. You can also check out the resources page for additional tools you can use to share the contest. Contest begins! Photo submissions will be accepted. Contest submission deadline, no entries will be accepted after this time. Drawing (Drawing date is tentative and subject to change) Will be held and winners will be announced. To enter the Great Bike Giveaway visit www.greatbikegiveaway.com For contest rules visit www.friendshipcircle.org/bikes/rules. I love this project! It is such a blessing to so many families. I’m going to share this and spread the word too. Thanks so much Penny! The Friendship Circle is a wonderful organization!